The SHOWTIME animated series OUR CARTOON PRESIDENT will return with seven new episodes starting on Sunday, July 15 at 10:30 p.m ET/PT. 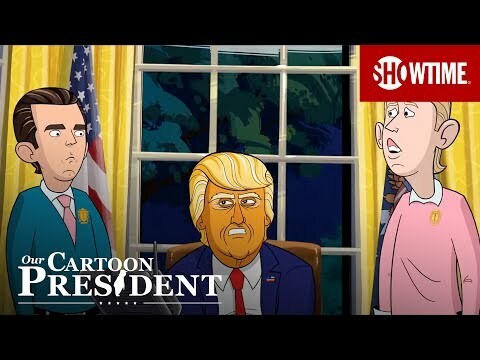 Executive produced by multiple Emmy(R) winner Stephen Colbert, showrunner R.J. Fried and Late Show executive producer Chris Licht, OUR CARTOON PRESIDENT follows the tru-ish misadventures of the 45th President of the United States, Donald J. Trump, and his merry band of advisors and family members. Our Cartoon President Season 1 (Part 2) was released on Showtime 280d ago in the US. Notify me when Our Cartoon President Season 1 (Part 2) is available.